In this new age of easy access to technology it seems like it’s possible for anyone with a laptop and some speakers to be a “wedding DJ.” The truth is, what we do encompasses so much more than pressing play. Its so much more than playing other people’s music through some big speakers. The fact is that your special day is as complex and unique as you are, and we believe it deserves to be treated like it. Here at Digital Musicians Entertainment we’ve been passionately exceeding expectations in the Hudson Valley for almost 2 decades. We’re passionate and excited about making your special event the best it possibly can be, and we hope you’ll give us the opportunity to share that passion and excitement with you and your guests. From intimate backyard gatherings to full scale blowouts, we’ve got the right setup for your party. With prices starting as low as $699, we can bring as much or as little as you need. All our wedding packages are custom tailored to make your special day the best it can be. Does your party demand a little something extra? We’ve got just what you’re looking for. From elegant, eye-catching up lighting packages to fun photo booths for your friends and family, we’ve got just what you need to turn your party up to 11. Still figuring everything else out? Photography? Catering? A venue for your special day? 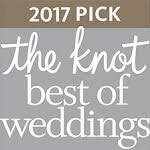 Our friends and partners over in our “preferred vendors” section come highly recommended and very well reviewed. If you’re looking for the rest of your wedding crew, look no further.